Tour de Force provides CRM, SFA, and BI software solutions that integrate with Outlook and your ERP system. Work for Tour de Force CRM? Learning about Tour de Force? 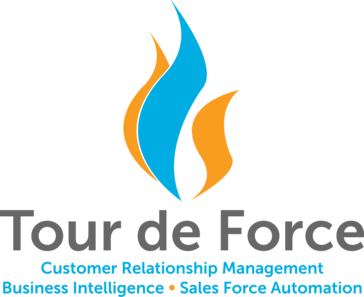 I have been working with Tour de Force for over 5 years now, as they have been our CRM. As a bigger client, we have been able to build a relationship with the TDF Staff and Support and they listen to our needs and wants. The system itself has come a long way in the years we have been using them, but it is very easy to use. I don't have too much to say here, but I think sometimes there are struggles that myself as an Admin and user comes across that we dont use or use differently but the system cant be changed to meet all our needs. We struggle with using BI at times, so we lean on other avenues. Aside the from the CRM system itself, the TDF Support staff is awesome. They listen to what you need, and make it happen.. even if it might take a little bit to implement those changes, its worth it in the end. We are solving the issues of not following up on what is in our pipeline and all the customer interactions that really happen but not all are documented. We have a nice system and process in place that helps us get to where we are to keep up. The visibility that the CRM provides also helps us all stay up to date, esp with the alerts and notifications feature. The best thing I can say about TDF CRM is that it's the most user-friendly CRM I've ever worked with. It's easy to configure, easy to manage and easy to train on. It's flexibility has allowed us to custom build the system which allows us to sue the information in ways we had only dreamed of in the past. Suffice it to say it exceeds our expectations! I honestly cannot say anything about the system that doesn't apply to any software. Everyone likes upgrades, but no one likes the unforeseen glitches that sometimes accompany upgrades. TDF has done a good job of addressing these, which we appreciate. 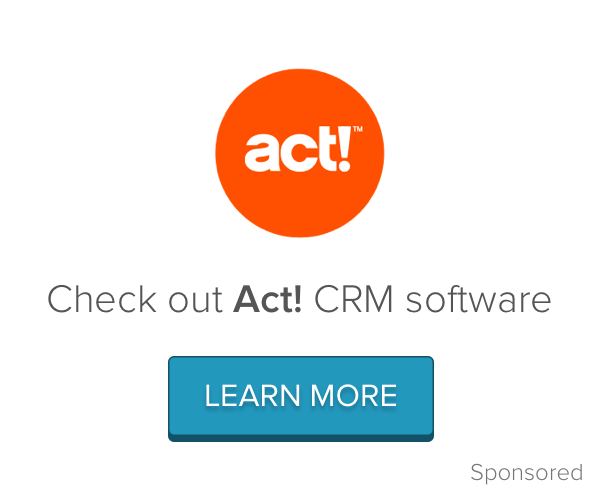 If you are interested in a quality CRM, I recommend getting a demonstration of the software and going from there. We are now able to reduce the number of 3rd party reporting applications with the use of TDF. Our outside sales team is armed with valuable data that they have never had access to in the past. "Not very confident in the product"
It's a place to store all of our current customers and accounts. It also has an open API which allows for our purchasing platform to sync with it. The confidence in the accuracy of the data is minimal. I can't trust that it pulled what I needed. The system can not grow with us. We are growing at a rate of 20%/ year. It can't keep up. If you are looking for a system that supports your sales process, is easy to use, and a complete system that integrates with your outlook and syncs your emails, then look elsewhere. This is not the system for you. Right now TDF is a place to organize information. that's it. The benefits we receive from TDF are that it's organizaed data and not in spreadsheets. The way TDF presents you the data it pulls from your system. TDF presents it in a way that makes business decisions easier to make. My only complaint is that a few of the features, such as BYOR, do require a good amount of training to be able to fully utilize. I highly recommend you assign someone at your company to learning the more technical details of the software so you can get the best use out of it. Assign an employee who has a good technical background to be the go-to for the rest of your company when they have issues or problems. Most of the time, the issues are very small and are due to lack of computer knowledge. TDF allows our inside sales team to be in sync with our outside sales team. Often times our company receives calls from customers who had an issue with a shipment or piece of equipment. The inside sales team enters this information in TDF for the customer. Every time our outside team visits a customer, they always check the customer on TDF before walking into the store. This allows them to see if there are any issues that they need to follow up with to ensure it is resolved. Also, because salesmen are always concerned about their sales numbers, TDF also allows them to view their entire portfolio of accounts to keep track of their bonus potential. The part the sales team likes best is that TDF allows them to drill down into individual customers and/or product lines to see exactly what is happening. "Very pleased with the TDF product as a whole"
The sales planning module has been a huge time saver for us and is a part of TDF that I highly recommend. I also like the ability to customize TDF for our business and fit the processes that we already had in place. It has been a good product for our uses. "It does a lot but you need to spend time learning all it can do." All your data is there to sort by and get reports to see exactly what your business is doing. It priced to fit smaller companies better than say SalesForce. The complexity for users. Unless you have someone setting up their screens to show what they need to see its hard for users to navigate the large amount of data is provides. Lower Price that others, Integrates with many ERP Systems, Very Customizable, But spend time learning what all it can do and setting up Views for your users. Customer Sales, Sales planning, history of customer interactions. Vendor tracking and score carding. Score carding for internal users especially Sales People. From an IT perspective a Support Module that lets me track support cases and create Activities for Scorecarding. "TDF has made our process much simpler." The main reason for purchasing was the account & contact info, sales info, & activity reporting and these features have exceeded my expectations. The email logging is a feature that I like much more than I thought I would. I would like for the mobile site to be a more user friendly. It's better than it was, but it's still too cumbersome to be usable on a daily basis. Entering expenses needs to be streamlined a bit as well. If you're using a CRM that came with your P21 ERP, switch to TDF ASAP. Keeping track of customer interaction with our salespeople. Using TDF allows us to retrieve information much quicker & easier than ever before. "Great CRM for our size business. Many options for data analysis and account activity tracking." Our company has full licenses and 'lite' users which saves us over all full licenses. Developed to integrate and work well with our ERP system. Quite robust and gives everyone a full look at what goes on in each account from orders to activities. Provides a snapshot of what each account manager is doing and how they are performing through scoreboards, etc. so that their managers may easily keep track of what is going on in each territory. My one complaint is that even with many of the upgrades, it is still slow to load. I believe we are or will be working more on that. Training new users is sometime difficult but internal written procedures are being considered. The drill downs cannot be saved easily and if there is a view with in the drop down, if you save once so as not to lose your work, you cannot use the views for the rest of the drill downs. I sure there has to be a way around this but haven't figured it out yet. Have more than one Administrator trained. Tie goals to adoption. Consider it for all departments. Our field account managers use it extensively and, to a degree, their compensation is dependent on activities and opportunities entered and updated. I use it for most all of my reporting, data mining and analysis since it ties so nicely into our ERP system. Gap analysis and our Product Group settings help us determine if there are any missed opportunities within an account. "Good product, but not intuitive for team members"
I like the TdF team, and most of the GUI interface. Everyone with TdF is very positive, friendly, professional, and eager to assist. Interface is not intuitive for admin tasks, or most end user tasks. Initial adoption and subsequent efforts to engage the user base have not been successful as a result. Integrates well with Epicor's Prophet 21 ERP, great support team. Some bugs still need to be addressed, but those are logged and targeted for future updates. Logging support issues (service team uses the product extensively), it's easy to find details on existing or previous calls to the service team. It is a powerful tool due to the customization capabilities. You don't have to mold your processes to meet the software, you can customize the software to meet your processes most of the time. The initial set-up is tedious and takes a lot of effort to self learn the tool. As an employee that joined the company after an initial launch (which wasn't very successful) there weren't really ways I could learn the tool easily (ex. Modules, videos, basic step information etc.) this has been improving and has helped. We are able to track the extra activities that need to be or have been already executed, some which may not have a direct monetary value. We are then able to compare the amount of these activities, to the sales of the customer and see if the value is there. It seems relatively easy to use once you learn the program. I also like the integration with the other business systems it offers. The ability to do one thing multiple ways causes a ton of issues for us. It also is additional functionality, that I believe the program does not necessarily need. This creates inconsistencies within the data for us because the end users are all doing things within TdF differently. Really the only benefit we've seen as a company is the automatic order creation out of eclipse. This gives the end users a much more complete funnel in tdf. "A full, robust program that is also easily customized to fit different companies' needs." The versitility. There are often various ways one can perform a task. (neither one is wrong.) The Info Center Grid is a very powerful tool in this regard. They have grown very fast. Some of the newer Support Staff are not as well versed as the Veterans yet. All quotes of a certain size are visible and followed up on in a timely fashion. Therefore, we don't lose quotes due to inattention. New activities and opportunities are emailed to our appropriate team members on a daily basis. This strengthens our "team selling" model. Everybody is up to date. The information extracted from TDF is awesome; especially when launching an email campaign. The BI has improved drastically allowing us to have confidence in the accuracy of the BI data. The support service is 100% attentive and responsive to our questions and ideas. Having to wait for changes until the next upgrade. Also, our use of the Lead Module is limited; therefore, we use the Opportunities to track leads. Extracting data for lead follow up is frustrating. We are now relying on TDF for all our BI customer and vendor data as well as CRM information. Easy to read reports and charts. Connects to our existing ERP program with ease. Sometimes hard to find what you need. The reports are great but it is not intuitive to find what you are looking for. We are using Tour de Force CRM for our outside sales people. Each sales person was using their own method and then having to key information into our ERP program later. Tour de Force connects to our ERP so they can see history of purchases and notes on customer accounts. It's improving their work flow and methods. "Raving Fan of Tour de Force "
Nothing! We are very happy with Tour de Force and its abilities. "Satisfied for a first time user of a CRM system." Easy to use after initial training. There is logic in how it all intertwines together. Customer service has see great benefit in using the system to keep the sales team aware of what they are doing for their customers. Our training seemed to be not where it should have been but I think that was an isolated personal issue versus reflection on the company as a whole. communication between departments. We have used TDF in every way we can to centrally keep all communication regardless of which department was the action person. TDF allows our reps to have up to date information on their customers prior to going into the account. "New user, some quirks to the web version of the tool, yet overall it provdes useful info." The daily alerts. It provides a nice snapshot of activity for the prior day. There's 100 ways to find the same specific information. This can be confusing for new and intermitten users. If you don't have a CRM, it's a good product to support basic needs of a sales team. I'm still learning the data analytics piece. -Easy tool for finding account assignments, overall sales info, specific product and vendor sales info per account, rep, etc. "SVP of Commercial HVAC Sales - CRM User and Manager of Behavior and Expectation with TDF"
The ability to custom report and follow commercial related projects for workflow and execution. The bulkiness of the onsite installation and the relative speed when connecting via VPN. Evaluate what you actually need and then explore the level of customization with TDF and understand that they probably meet all your needs. There is a portion of our business that is unlike true distributorship and TDF allows for proper management and execution of our commercial business. BYOR is very difficult , reporting dashboard are not robust and easy to use. Column chooser is very confusing and difficult to use, too many options in many cases that require you to know some sort of cross reference of the field from your system. If not populated then shouldn't show up. Just make sure you map out the fields you need and stress training. Tracking of Opportunities and lost business has been greatly enhanced. Tracking the business process when "courting" a new customer is invaluable. Tdf allows us to remove islands of data. The customer support hierarchy is poor. Think about what you need from Tour de Force, and ask if that is something that can be done. We found there were things we assumed it would do easily that it couldn't and things that we assumed it couldn't but with a few tweaks could. We have been able to remove islands of data and create a complete picture of our customer accounts that are accessible in one place. Having this visibility definitely helps make our sales calls more effective. "The interface has been difficult to understand for those of us who are not in it all the time." Very versatile, and there are a lot of possibilities if you can figure out how to use them effectively. Non-standard icons are confusing, interface is not intuitive. Get more training, use it regularly, get buy-in from all departments... however, if you already have a system where many of these activities can be done (and it works well enough) the transition to TDF will be difficult. Loading leads - not sure yet how to go about it. I think we would see more benefits if I could learn how to use it more effectively. "Great product and tied in well with our ERP System (Prelude)"
The best was that it tied seamless to our ERP System. Sales people had instant access to their data both historical and new sales orders and quotes. user maintenance is a bit clunky. Adding user specific permissions tripped us up the first time or two. It is a cost effective solution, much more so than others we reviewed. "Great fit for sales staff in distribution. " I like that I can create my own views; every sales person operates in a different way. Haven't found many negatives yet, it sometimes is sticky though. TDF gives full visibility of Accounts to the appropriate users, as well as integrates seamlessly with Outlook, ERP's, 3rd party resources, etc. Support tech was quick and patient. We were infected with ransomware and tech corrected problems quicker than our IT consultants would have been able to do. I do not have any issues with support. "TdF From Business Systems Analyst POV"
I like the ease of finding what you need to find and the user friendly interface. Being a SQL query writer, i dislike that i cannot right click and find out where certain items are pulling from. Keeping track of salesman statistics, soon to be quoting. "Great intuitive system for sales team"
The system is pretty intuitive to use once you learn the basics. Even some of our veteran salesman are using it daily. Each time we have upgraded to newer versions we end up losing functionality on some other key features despite correcting some issues from the previous versions...just seems that there are always lots of unanticipated bugs with each upgrade. It allows me as a manager solid visibility into what my team is doing and what progress is being made at different accts. TdF CRM is a great product for the small to mid-market manufacturing space. Their price point is well positioned against the big competitors. Support is very personalized. Product is very customizable. Like many software companies, challenges are occasionally met with 'that will be fixed in the next release' or 'we've submitted that for enhancement in one of our future releases'. The greatest benefit is managing accounts within our sales department. Some automated workflows we've created give visibility that was not previously available. "Great tool for coaching others in my organization." Alerts and BYOR capabilities are my top items. Too many ways to do things. Would like a clearer path to execute certain things. Top Down Use and involvement is a must. Remote access to information was a large probelm and that has been solved. "Decent technical aspects, overly out of date interface"
It does provide a single location to store sales records. CRM offers visibility between departments, as well as allowing us to see trends in issues and successes. It is relatively easy to use on a PC. Ann Fisher, while sometimes coming across harsh, really knows what she's talking about and is very helpful to our team. "Venturing out of our comfort zone"
We have found the control of our critical data to be very calming. the mobile version is not as user-friendly as the desktop model. tracking the trends of a client helps sales keep the commitments going. The team at Tour de Force is responsive to needs; they listen and ask the questions to understand the issue at hand. Turn-around time on requests can sometime drag out beyond the set service level; although I have seen improvements on this front. We've just recently input sales goals into TdF and are excited to gain greater insight and benefits from it to keep sales and projects on track. "Overall very good CRM program"
the amount of data and the ability to slice and dice it how we want. lacks some basic functions and overall user friendliness out of box is a bit weak. Ability to search and filter On and column easily and quickly. CRM information and access while out of the office. "ERP Integration and Data Analytics"
The ability to customize the integration stands out as one of the best features. The speed of TdF Web can be very slow at times. The standardization and centralization of customer information from call reports completed by outsides sales. Already we can identify at-risk accounts. We can now measure the data that only existed in a word doc. and similar formats. It is the most user friendly software that we have found. We appreciate the amazing customer service and staff at Tour de Force. Sometimes the software can be a bit overwhelming to new users, but after appropriate training user adoptablity rates go up. We are using the software to ease the communication process between inside staff and outside sales time. "Beneficial to Our Sales Force"
TDF has really made a difference in the way that our Sales Force runs now. It has made their jobs much easier with it's ease of use and accessibility. Customer relationships are much easier to maintain and information is readily available when needed. All information is registered in one location, contacts, emails, events, activities, etc. I wish there was a handbook that we could refer back to for help navigating. time to load from remote location. "TDF is a useful CRM tool that can continue to improve to be more user friendly." TDF allows you to have access to useful information pertaining to your company. TDF is sometimes very slow and is not always user friendly. You have to open/click several windows to get the information you are looking for. Makes it a little confusing. "Good potential, if used correctly"
integration with our current ERP system is a problem. Data doesnt cross over smoothly. Integration of our ERP sales data, there. EXCELLENT support and implementation team!!! Learning about Tour de Force CRM? * We monitor all Tour de Force CRM reviews to prevent fraudulent reviews and keep review quality high. We do not post reviews by company employees or direct competitors. Validated reviews require the user to submit a screenshot of the product containing their user ID, in order to verify a user is an actual user of the product. Hi there! Are you looking to implement a solution like Tour de Force?